November is vegan month in the UK and with more shoppers turning to veganism as consumers show a greater concern for the environment and the welfare of animals, this is placing greater demand on retailers to sell more products that conform to a vegan lifestyle; according to GlobalData, a leading data and analytics company. The UK is among the top-growing countries for veganism. In 2014, only 1% of the population classified themselves as vegan, rising to 3% in 2017, according to a report by GlobalData. 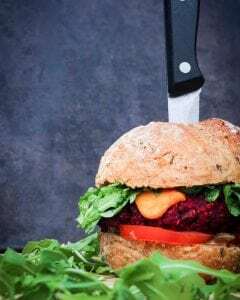 The most recognised market for vegan consumers is food & grocery and over the past five years, grocers have been capitalising on the vegan trend to differing levels of success. Morrisons has most recently adapted its store formats and this change will appeal to vegan shoppers. In its new format stores, it has introduced a ‘free from’ aisle, displaying plant-based dairy alternatives, alongside meat substitutes such as Quorn. It is the only grocer so far that enables consumers to shop for frozen and chilled free-from food items in one place and highlights the growing importance of ensuring vegan consumers can shop for produce just as easily as non-vegans. Globally, veganism is most prominent among younger consumers, particularly those aged between 16 – 34-years-old, according to GlobalData. As a result, in most recent years there has been a rise in demand for trend-led vegan clothing, as many items seemingly animal-product free contain small parts of animals such as leather labels; for example on jeans, or angora wool in jumpers, rendering them undesirable to young vegan consumers. Mills continues: “The desirability of real fur has fallen since the 1990s, with many fur retailers and fur departments in retailers like Harrods and Debenhams closing. This trend has continued into leather, with the rising popularity of pleather clothing.